What is Step up campaign? My name is Gopal Shrestha and I am 50 years old. Over fifteen years ago, I was diagnosed with HIV . Since, the year 2002. I am working as a volunteer campaigner and activist in the sectors of HIV/AIDS and Drug addiction. In addition I was national football player of Nepal and played from different A Division club of Nepal. Based on my personal experience and what I’m hearing from others, honestly, I don’t think the stigma around people living with and affected by HIV/AIDS has dissipated. True, people have a better handle on how HIV is transmitted. There’s less generalized hysteria around being in the presence of people with HIV. But I think people still judge those living with HIV and believe that they did “bad things” in order to get it. People fear the unknown. So if they meet others living with HIV and see that they’re just regular people going through life, it’s harder for them to view positive people as part of society’s underbelly or think of HIV as a virus that can’t affect them. I believe that we can play a role as well, by sharing the stories of people living with HIV and providing accurate information about the virus through different campaigning and community based program. Between 2011-2015, World AIDS Days will have the theme of “Getting to zero: zero new HIV infections. Zero discrimination. Zero AIDS related deaths”. The World AIDS Campaign focus on “Zero AIDS related deaths” signifies a push towards greater access to treatment for all. Therefore, on the year of 2015 to meet the theme of “Getting to zero: zero new HIV infections. Zero discrimination. Zero AIDS related deaths” I have decided to climb the Mt. Everest (8,848 meter high) with world aids day banner. Keep it up! What you’ve dream let it hit the Mt. Everest in 2015. Dai, can you pass me some of your photos which you’ve climbed Mt. Thorongla (whether it is correct or not the name of Mt.) in my email address. Your best wishes has brought more courage to make this campaign more successful. Could you please send me your email address. So that I can send you the picture of Thorang annapurna circuit. Its historical step on HIV/AIDs.go ahead dai and HIT them all over the world. With lot of my wishes. Hi Gopal ,We are with you to support your campaign.We wish you a very successfull expedition to the Mt. Everest and it would be very great message to the people(HIV positive). We are proud of you . Just do it. I read about your Everest plan in 2015. I wish you best of luck. Keep the pre-climb training to full extent, so that you succeed in your goal. Only a very few people dream scaling Everest. Congratulations. I appreciate your courage. Best of luck Dai and wish you will achieve your goal without any problem………. GOD bless you to complete your mission n spread the message about HIV/AIDS get into ZERO … ALL THE BEST,Brother ! Dai I am impresed and inspired . You and me , we go long way back. Good luck and c u soon at the top..
Keep the world record its great job lets the world know …. 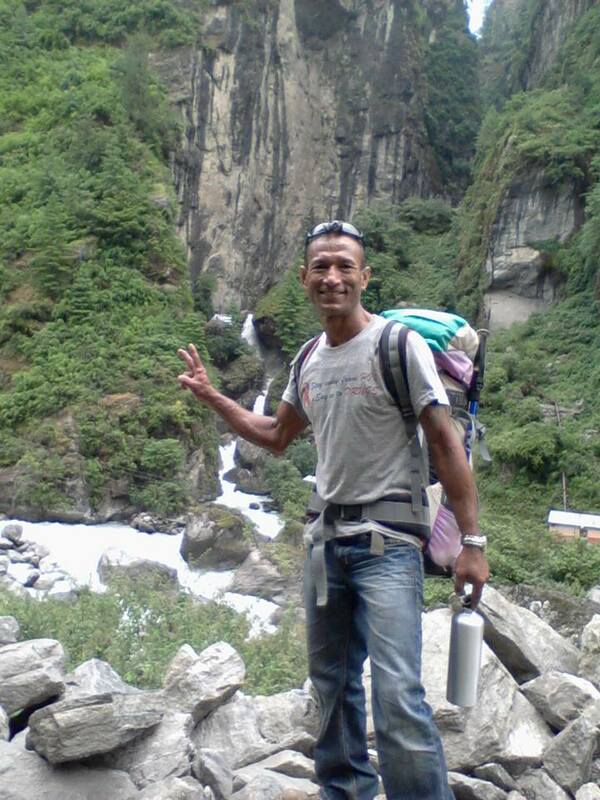 best of luck gopal vena…..and sagarmatha ko peak ma pugne tapaiko ikchya pura hos…..many many wishes for you…. Hi Gopal Dai many many best of luck to achieve your dream. http://stepupcampaign.com is the new and best one!